Xiaomi is China’s number one mobile manufacturer, The company is busy with working on new device Redmi 3S, Xiaomi redmi 3S has been certified in China. This year company launched XIaomi Mi 5 at MWC 2016, Xiaomi redmi 3S features a meta body design, It is expected to launch on April 6th. On the design and specification side, According to TENAA certification, Redmi 3S will feature a 5-inch display with 720p resolution, It will be equipped with octa-core 64-bit Snapdragon 616 processor, 2GB of RAM. For photos, Smartphone will have a 13-megapixel primary camera with (PDAF). And 5-megapixel front camera, better support of the video chat, powered by the 4,000mAh battery, and it will be 8.5mm thick. According to the leaked image from social media, this device comes with a fingerprint reader. 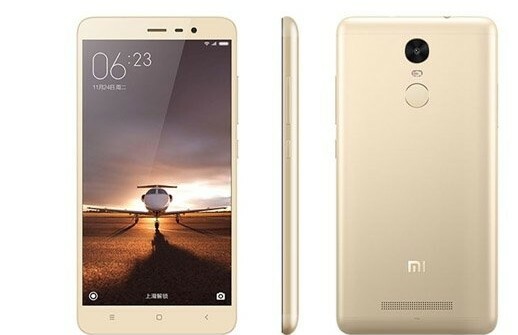 Redmi 3 does not have a fingerprint sensor, including 16GB of expandable storage via micro SD, a photo sensor of 13 megapixels opening f / 2.0, And a front camera of 5 megapixels, this device will go for 799 Yuan or $122. 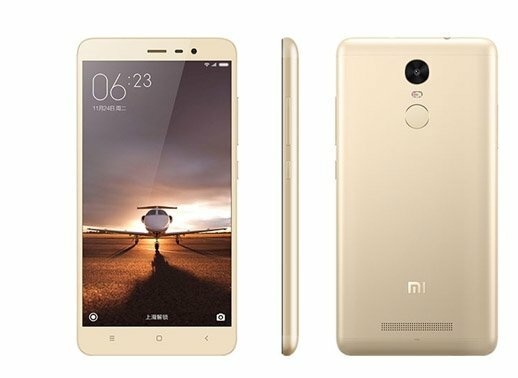 Xiaomi Redmi Note 3 officially launched in India, Smartphone priced at Rs 9,999, The company also planned to launch Mi 5 this month, Xiaomi Mi 5 officially unveiled at MWC 2016, Redmi Note 3 comes in two models, one variant will be available with 2GB RAM and 16GB internal storage space, Second model with 3GB RAM and 32GB space priced at Rs 9,999 and Rs 11,999. Features a metal unibody design, This is one of the cheapest smartphone compare to it’s rivals Le 1s, Lenovo K4 Note, Huawei’s Honor 5X. On the design and specifications side, It has designed with curved edges, the speakers are placed at the back side of the device, Looks like iPhone 6 / 6S design, Available in gold, silver and black colors, This device features a 5.5-inch full HD screen, which gives pixel density of 401 ppi. powered by the 4050 mAh battery, huge power and better support of the internet browsing, features a fingerprint reader placed at the back side, Equipped with six-core Snapdragon 650 CPU, Recently Smartphone has surfaced on Antutu benchmark tests, Scored 75,000 in test with 3GB RAM Model. Coming to the photos and video recording side, Smartphone features a 16 megapixel back camera with PDAF, dual-LED (dual tone) flash, and a 5 MP front camera. And the mobile users can capable of recording videos in Full HD, This device compatible with Wi-Fi standards supported 802.11 a/ b/ g/ n/ ac, Bluetooth Yes, v 4.10.